This is a tree growing from fifty to one hundred feet high, with an erect stem, three or more feet in diameter at the stem. The bark is grayish and smooth. The leaves are alternate, unequally pinnate; leaflets opposite, oblong, acuminate, and unequal at the base. Flowers are small, pale or yellowish-green. Fruit three drupes, about the size of a pea. The Quassia Amara, or bitter quassia, is a shrub, or moderately-sized branching tree, having a grayish bark. 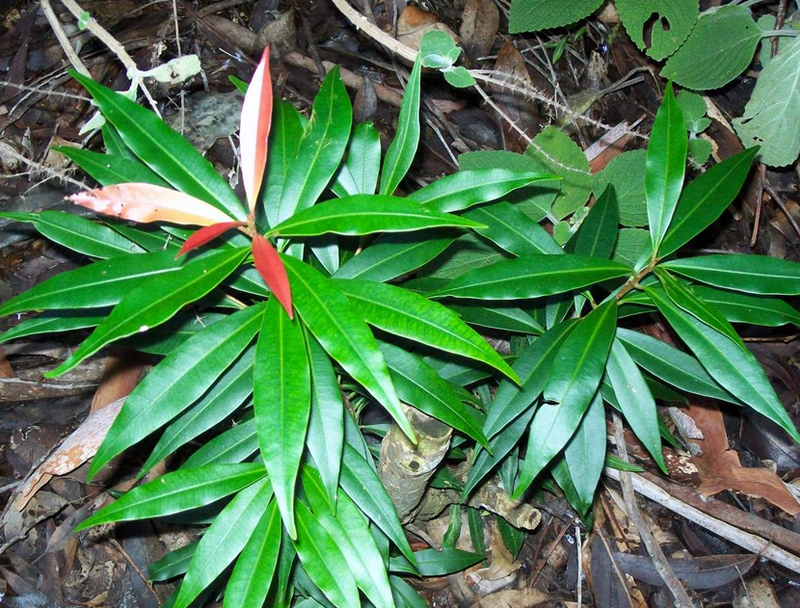 Aeschrion excelsa var. microcarpa Krug & Urb.